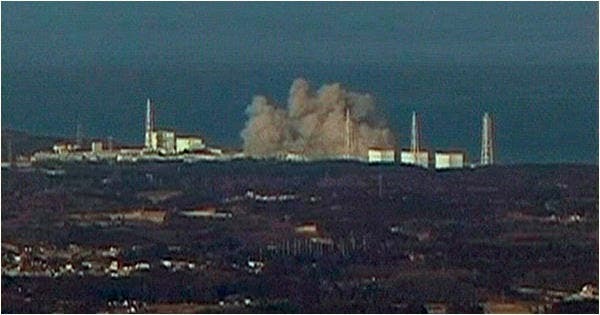 Fears are growing of a tragic explosion at the number 3 reactor in the Fukushima-Daiichi nuclear power plant. Japanese prime minister Naoto Kan announced in a press conference that the disaster was the worst since the atomic bombing of Hiroshima and Nagasaki in World War II. The Japan Meterological Agency warned that there is a 70 per cent chance of a magnitude-7 aftershock striking the country in the next three days heightening the probability of meltdown conditions. In contrast to the uranium-based Fukushima number 1, the number 3 reactor uses a mixture of plutonium oxide,which is used in nuclear weapons, because it is more reactive and produces more energy, and uranium oxide. In a meltdown event, plutonium is considered more dangerous than uranium alone because of its increased volatility and its reactive, "neutronic" effects, which may result in even greater heat generation and fire in the event of a meltdown than is the case with UO2 alone. To prevent a catastrphic meltdown, boric acid and sea water is being pumped into the number 3 reactor to captures neutrons and reduces the risk of a fission chain reaction.